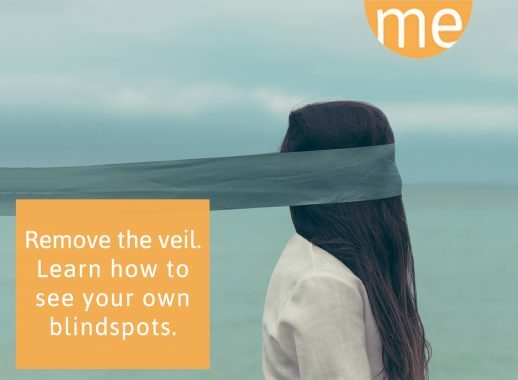 Interested in how your blind spots can help you grow? Ahead of you a 7 minutes read that will spark your growth – if you let it. What makes them difficult to see though is the fact that we are completely unaware of them. We truly, honestly think that they are not there at all. ‘Blind spots’ are usually areas where our greatest potential for growth lies. To expand on our strengths is good, yet it is mere improvement. Growth and transformation lies in these ‘blind’ areas. The most difficult step is to make ourselves see that where we think there is ‘nothing,’ there is really a ‘blind spot’. How can we identify our blind spots? You do what you have always done, just more of it: “I’ll (enter here what you usually do to solve problems). I’ll succeed”. Any of those might hint towards a ‘blind spot’. Then learn to become aware and to understand if/that/how/why you are actually behaving in the suggested way, that your actions are actually driven by the suggested feelings. This might be the hardest part, because you have to actively search for a proof that your self-image might have flaws. That takes courage, stamina, scrutiny, grit. Another way to identify ‘blind spots’ – those ‘spots’ that we simply believe that are not there at all – is to listen to ourselves talk about others. We are quite good at spotting the ‘blind spots’ of others: of our peers, our colleagues, our partners. The thing is – we can only see and recognize what we know. We can only see in others what we know from ourselves; even if we think we don’t have this trait, this strength or characteristic. To be on time is how Mary shows respect for others. When someone’s late Mary interprets it as they have no respect for her. She wants to feel respected and looks for signs of respect in the behavior of others. We can discover ‘blind spots’ through the things we see or want to see in others. Mary turns outwards, wants and longs for respect from colleagues. There is a chance that she does that because self-respect might be one of her ‘blind spots’. She can’t see and feel the respect she does hold for herself within herself. Ask one person you trust where they think your ‘blind spots’ are. Get a second opinion and ask another person that you trust. Observe how you react. Stay open to the possibility that there might be a kernel of relevance in their feedback. Listen to yourself how you interpret behavior of others. What do you ask from others? Form a hypothesis about possible blind spots. Observe your re-actions, thoughts, behavior to prove or falsify the hypothesis. Be aware – look out for excuses you make for yourself. If all the information that you gathered on yourself proves the hypothesis – the next step is to accept that you are actually different than the image you created about yourself. Which is actually an incredible thing! Once you accept your current self, the energy you used to disguise is freed and a space opens up. You’ll be able to see things differently and thus act differently. Growth and transformation. Now that you have the tools to recognize your blind spots and have the tips to work on these challenges, I invite you to practice them. Want to grow more? Check out my blog on how to tackle and detach from conflict.